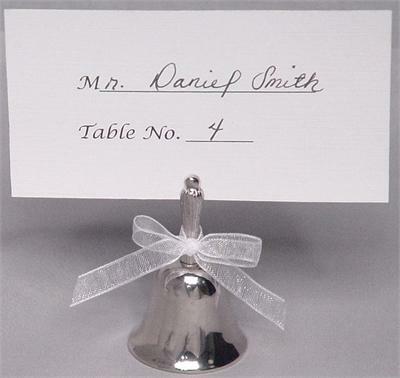 Bell place card holder. 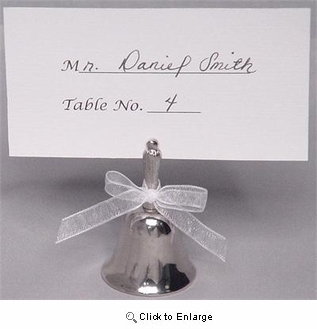 Adds on for wedding table decoration. Easy to use. Wholesale price, no purchasing requirement.